For people with Andreessen Horowitz fatigue, things are about to get worse with the publication of co-founder Ben Horowitz’s new book, The Hard Thing About Hard Things. Horowitz talked with StrictlyVC about his new book late last week. Our conversation has been lightly edited for length. Some authors hire research teams to help with their books. Did you have support in writing this? What made you think, okay, next month, I’m going to sit down and start work on this thing? It was combination of stuff. I kind of had this concept in my head, but the problem with management advice is that it’s highly related. Management is very dynamic, very situational, so any advice you give is based on your [experience]; it’s not general advice. People try to generalize it — and I try to generalize it, too — but without knowing where it comes from it’s not nearly as useful. So I thought the stories about where it came from and what I got out of it [would be helpful]. I had been planning to publish them [as blog posts]. But after [publisher] Hollis Heimbouch at Harper Collins found me on Facebook, I thought it might work better as a book. You’ve said the book’s proceeds will go to the American Jewish World Service to support women’s rights globally. Does that include your advance and royalties? For some perspective, can you share how much you were offered to write this book? The contract is confidential, but yes, it’s all going to AJWS. It’s funny because when it first came up, I like was like, “I need to take a little time off to do this.” And everybody immediately said, “No. You cannot. You have to be here.” So it took a little longer than I would have liked, a little over a year. It was definitely a nights and weekends kind of thing, and I’d find some time in the day. But it was good because I remembered stuff in bits and pieces. There’s a story about [LoudCloud’s struggle to go public], when my wife was sick [with an extreme allergic reaction], and that was such a traumatic experience, I’d sort of blacked it out in my memory; it kind of [came back to me] late in the process. You have a lot of rich, detailed material in the book – dialogue, emails. Did you solicit help from your friends and acquaintances? Carlye helped me quite a bit with this. I’d made a list of all the people I’d worked with over the years, and she interviewed them about their experience and some of [the book material] came out of those interviews. The second half of the book provides pretty concrete advice for operators in a wide variety of tricky situations, though you don’t spell out how to engender loyalty. 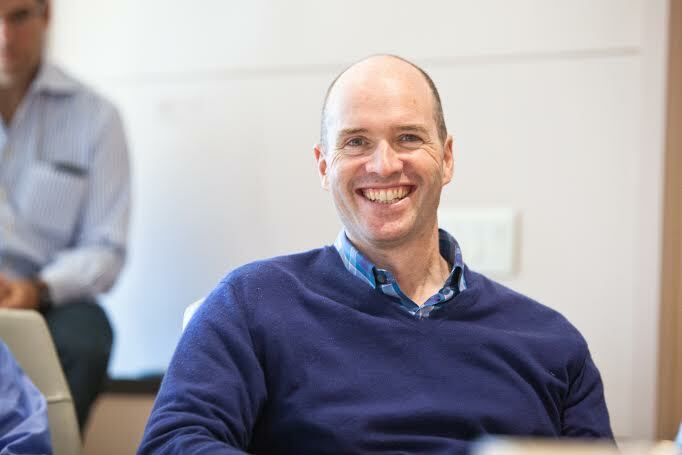 Many people from your past companies – John O’Farrell, Scott Kupor, Marc Cranney – wound up at Andreessen Horowitz. What’s the trick? If you really believe in the people who are working in the company and you believe they can be more than they can be — even more than they themselves think they can be — that comes through. And then if they grow [into that expectation], it becomes a very strong bond. I did an attrition survey at Netcape [Horowitz was put in charge of its enterprise Web server product line at age 29], and people leave companies for two reasons: People either hate their manager – that’s number one – or they’re just not growing or developing. Training is important, but it’s really about what the CEO believes about you. If the CEO doesn’t believe in what you can become, it’s hard for you to become it. When it comes to being a great CEO, what would you say are the top three qualities in order of importance? The number one thing is you have to have an irrational desire to build something. Any kind of rational reason for being in it gets pretty screwed up over time, because you end up in very bad situations now and again. I’d say the second quality would be the ability to find your courage at some point — the ability to stand up to a lot of pressure. And not quitting is probably number three. I think the only reason I stayed [with Opsware, which Horowitz essentially yanked from the ashes of LoudCloud and eventually sold for $1.6 billion] is that I didn’t quit; I stayed at it long enough that it worked out. You recently published an anecdote on your blog, which didn’t make it into the book, about how you avoided an options backdating scandal by not taking the advice of a well-regarded CFO you’d hired. Yes. People called the character and harassed her. She was actually grateful for the way I portrayed [what happened]. Is there any danger that other characters in your new book will make a fuss? You write about one executive who was “born in the oilfields of Oklahoma, graduated from West Point, and was in charge of anyone who touched any servers at EDS,” which was one of your biggest customers at the time. We later learn that he lingers at airport bars to escape his work and family. I tried to run a lot of stuff by as many people as I could, because I [didn’t want to upset people]. I’ll bet I missed some, though. I think my biggest fears are that, and the acknowledgements. I know I didn’t acknowledge people who were a huge help, and I just don’t know how to go back [and do that now]. How much of your adventures at LoudCloud and Opsware would you say owe to luck versus quick, reactive decision making? Luck played a major role. We had so much bad luck early – an overwhelming amount of bad luck – beginning with the whole change in macroeconomics. [LoudCloud raised tens of millions of dollars months before most of its customers were done in by the 2000 dot.com implosion.] Then we had tremendously good luck [i.e., Opsware’s eventual sale to Hewlett Packard]. There’s no question that if a couple of things had gone a different way, we wouldn’t have made it.